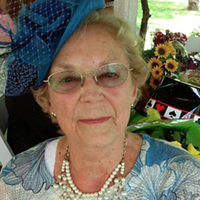 Betty D. Sobczak, 88, of Corfu, passed away with her family by her side on Good Friday, April 19, 2019. Betty was born on June 16, 1930, in Batavia, the loving daughter of the late Myron and Jessie (Pfennig) Dieter, of Corfu. She attended and graduated from Williamsville schools just before they moved to their farm in 1948. Betty married Bernard F. Sobczak October 9, 1954, at Holy Name of Mary Church in East Pembroke. They resided at their “little slice of heaven” to this day on the family farm. Betty retired in 1995 from M&T Bank in Corfu after 38 years as a teller and secretary. After retiring she was able to spend even more time enjoying the family that she built as it continued to grow to include three great-grandchildren; Taylor, Ethan and Loxley. As well as her spoiled grand dogs; Cloey, Otis, Callie and Earl. She enjoyed life to the fullest, always putting family first. If she wasn’t in the kitchen cooking, you could find her watching QVC or in her beloved “beer garden” enjoying her family or her favorite view of the farm. She is survived by: her best friend and devoted husband of 64 years, Bernard Sobczak; son John (Diane Smith) Sobczak; daughter Julie (Richard) Allein; granddaughter Loni (Randy) Fancher; grandson, Andy Sobczak; granddaughter Kelsey (Nick) Stephan; and three great-grandchildren. Friends and Family are invited to call at the C. B. Beach & Son Mortuary Inc., 4 E. Main Street, Corfu on Tuesday, April 23rd from 4 to 8 p.m. Mass of Christian Burial will be held at 10 a.m. Wednesday, April 24th at St. Maximilian Kolbe Church (Holy Name of Mary site) 8656 Church St., East Pembroke, followed by internment at Evergreen Hill Cemetery in Corfu. Memorials may be made to Buffalo General Hospice Care, Evergreen Hill Cemetery or the family. 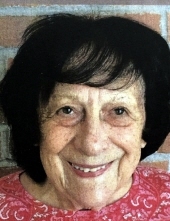 Patsy Palermo, 89, of Batavia passed away peacefully on Saturday April 20, 2019 at the Premier Genesee Nursing and Rehabilitation Center. He was born on November 29, 1929 in Elba, NY to the late Anthony and Lena (Marbella) Palermo. In addition to his parents, Patsy is predeceased by his son-in-law; Joseph Fragnito; siblings James Palermo, Betty Palermo, Florence Smith, brother Onofrieo (Barbara) Palermo, Rose (Eugene) Marcello. Patsy was a self-employed Muck Farmer working in the family business in Elba for many years and was also a machinist at Delco Products for over 28 years. He was a member of the St. Nicholas Club, the Holy Name Society, an alter server and a member of St. Joseph’s RC Church. Patsy was an avid sports enthusiast. He dedicated much of his life to research for spinal injuries through the Miami Project. He loved to sing, dance and make Sunday sauce. Patsy will forever be remembered as a steady family man, a loyal, respected, devoted and loved husband, father, grandpa, Nanu and friend. Everyone loved Patsy. Mr. Palermo is survived by his loving and devoted wife of almost 65 years; Virginia (Gringer) Palermo of Batavia; children Patty A. Fragnito of Batavia; James (Nancy) Palermo of Batavia and Ricky Palermo of Batavia; siblings Carm (late Larry) Dunn of Chili, JoAnn (Edward) McDonnell of Rochester and Carol (late James) Gagliano of CA. ; brother in law Donald Smith of Churchville; granddaughters Jamie M. (Eric) Peskor, Amy (Greg) Ciszak and Annie Palermo DPT; great-grandchildren Luke Peskor, Lena and Wesley Ciszak, along with many nieces and nephews. Family and friends are invited to call on Tuesday April 23, 2019 from 12:00PM-1:45PM at Resurrection Parish (St. Joseph’s site) 303 East Main Street Batavia, New York 14020, where a 2:00PM Mass of Christian Burial will immediately follow visitation. Patsy will be laid to rest in St. Joseph’s Mausoleum. Flowers are gratefully declined. Memorials may be made to The Miami Project to Cure Paralysis http://www.themiamiproject.org. For more information please call 585-343-8260 or to leave a message of condolence please visit www.gilmartinfuneralhome.com. Arrangements completed by Gilmartin Funeral Home & Cremation Company, Inc. 329-333 West Main Street Batavia, New York 14020. 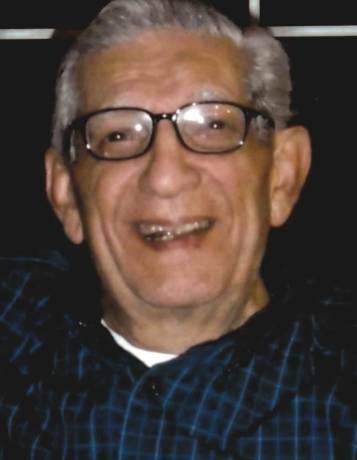 Angelo V. Pettinella ~ of Batavia, 84, entered eternal peace with Jesus Christ on Thursday (April 18, 2019) at Premier Genesee Center for Nursing & Rehabilitation after a lengthy illness. He was born in Batavia on July 23, 1934, to the late Dominick and Theresa (Mastriano) Pettinella. He married his high school sweetheart, Carole Barone, on Feb. 20, 1954 at St. Anthony’s Church. They raised three sons and were married for nearly 60 years until her death on Nov. 14, 2013. Angelo worked for the Pettinella Family onion business in his younger years, before embarking on a 30-year career as a long-distance truck driver with an impeccable driving record. After that, he helped his son, David, with his business, Dave’s Trucking and Dave’s Produce in Elba, for several years before retiring due to health concerns. 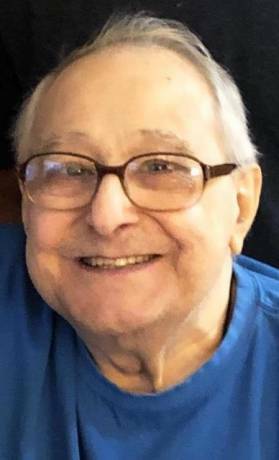 He was an avid fan of all professional sports, rooting for the Yankees and Knicks while growing up and then teams from Boston (Red Sox, Patriots, Bruins and Celtics) in his later years. A passionate, generous and caring man, he took pride in all the accomplishments of his sons, grandchildren, great-grandchildren, nephews and nieces. Angelo was predeceased by his son, David (July 22, 2007); grandson, David Jr. (Aug. 30, 2005); brothers, Louis Caiazza and Dominic (Don Taylor); sister and brother-in-law, Antoinette (Joseph “Jack”) Versaggi, and sister-in-law, Judith Barone. He is survived by sons and daughters-in-law, Michael (Wendy) Pettinella of Batavia, and Thomas (Betsy) Pettinella of Pittsford; brother and sister-in-law, Charles (Margaret) Pettinella of Rochester; brother-in-law, Anthony (Marge) Barone of Batavia; grandchildren, Teressa Pettinella of Batavia, Leanna (Dan) DiRisio of Batavia; Philip (Ali) Pettinella and Matthew (Meghan) Chartraw, both of Charlotte, N.C.; Adam (Mackenzie) Pettinella of Chili, and Bryan (Rebecca Morse) Pettinella of Batavia; Kelly (Jared Chaddock) Cudney and Jennifer (Clinton Anderson) Cudney of Batavia; great-grandchildren, Christian Peek, Jenae Colkey, Haylee Thornley, Vincent DiRisio, Luciana DiRisio, Brycen Pettinella, Gage Pettinella, Renzo Pettinella, all of Batavia; Leah and Aubrey Chartraw of Charlotte, N.C.; Gio Pettinella of Charlotte, N.C.; Brecken Pettinella of North Chili; nieces and nephews, great-nieces, great-nephews and cousins. There will be no calling hours. A private memorial service for the family will be held. Memorials in Angelo’s name can be made to the American Diabetes Association. Please share your words of comfort with Angelo’s family at www.tomaszewskifh.com or for more information please call Michael at (585)343-7500. THE FAMILY OF ANGELO V. PETTINELLA IS BEING CARED FOR BY THE MICHAEL S. TOMASZEWSKI FUNERAL & CREMATION CHAPEL, LLC 4210 WEST MAIN STREET ROAD BATAVIA, NEW YORK 14020. 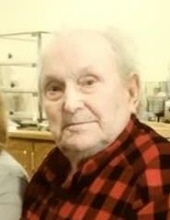 RAYMOND H. SEWERYNIAK ~ Age 91, of Batavia, died Monday afternoon April 15, 2019 at the New York State Veteran’s Home @ Batavia. He was born December 22, 1927, in Batavia, NY a son of the late John and Michalina “Minnie” (Przybysz) Seweryniak also preceded in death by siblings, Edwin, Chester, Joseph Seweryniak, Mary Soban and Irene Smart. Ray attended Corfu Central School before entering the US Army, serving honorably during the Korean Conflict in the 5th Infantry Division at Indiantown Gap. He was a well-known Tool & Die Maker working as Assistant Production Manager for Ward Hydraulics for 18 years. He also worked at the former Trojan Industries, Sylvania and retired from Chapin Manufacturing in 1991. Ray was a 4H Leader for many years, member of the former Moose Club, enjoyed time spent with family, grandchildren, gardening, woodworking and solving any mechanical challenges he was presented. Ray was an accomplished craftsman who helped build and built numerous area homes. Surviving is his beloved wife of 62 years, Theresa “Terry” (Koziol) Seweryniak of Batavia; his children, Mark (Sue) Seweryniak of Batavia, David (Kathy) Seweryniak of Corfu, Sue (Kevin) Geer of Hamlin and Kay Bush of Batavia; brother, Leo (Vi) Seweryniak of Corfu; sister, Ann Rumfola of LeRoy; sister-in-law, Kathryn Seweryniak of Batavia; 12 grandchildren, 7 great-grandchildren along with many nieces and nephews. The Sewerynaik family will be present from 5 - 8p.m. on Monday April 22, 2019 at the MICHAEL S. TOMASZEWSKI FUNERAL & CREMATION CHAPEL, LLC 4120 West Main Street Road Batavia, New York 14020. Please join Ray’s family in celebrating his Mass of Christian Burial 10a.m. Tuesday April 23 at St. Maximillian Kolbe Parish (E. Pembroke Site). He will be laid to rest in St. Joseph’s Cemetery and memorials in his memory are suggested to the church. Please share your words of comfort with Ray’s family at www.tomaszewskifh.com or for more information please call Michael at (585)343-7500. Lydia V. Zinni, a long time former resident of Batavia, passed away on March 19, 2019 in Jacksonville, FL. Lydia was born on May 14, 1922 in New York City. She was the only child of Ernesto and Mary Bertone. She enjoyed many outdoor activities including horseback riding, tennis, cross country skiing, and ice skating. She always believed that exercise was important and was taking aerobic classes into her 80’s! Lydia was an excellent cook and advocated healthy meals even before it was the fad! She made everything from scratch. Her pie crusts were unbeatable and her strawberry rhubarb pies will not be forgotten. She was a talented seamstress and enjoyed sewing costumes and clothing for her daughters, and even tackled re-upholstering furniture. Lydia also enjoyed traveling throughout the USA, Canada, Australia, New Zealand, Europe, and several Caribbean Islands. Prior to marrying the love of her life, Donald Zinni, in 1950, and moving to Batavia, she was an executive secretary at the Montgomery Ward Headquarters in NYC. Lydia was a devoted and loving wife and mother, grandmother, and great grandmother. Her family was the most important thing in her life. Her loving and caring ways will be cherished forever. Lydia is survived by her loving husband of 68 years, Donald; her daughters & son in laws: Lynne Stager (John), Virginia Reist (Charles), Paula Reeger (Terry); seven grandchildren: Kevin Stager, Maria Stager, Erik Reeger, Erin Katzman (Andy), Danielle Dallas (Scott), Rachel Reist, and Harland ( Andrea) Reist; six great grandchildren: Mollie, Ian,& Margaret Dallas, Hailey Reist, Jacob & Micah Katzman. She is also survived by sisters-in-law Rose Marie Szadek and Elizabeth Zinni, and brother-in-law George Massar, along with several nieces and nephews. Lydia was a faithful member of St. Anthony Church and Ascension Parish. She was a wonderful role model for her daughters. Lydia enjoyed life and was always up for a good time. She will be sadly missed. There will be no prior calling hours. An 11:00AM Mass of Christian Burial will be held on Saturday April 27, 2019 at Ascension Parish 15 Sumner St. Batavia, NY 14020. Mrs. Zinni will be entombed in St. Joseph’s Mausoleum. The family requests no flowers. The family kindly requests that memorials in Lydia’s memory be made to The Sisters of Mercy NY, PA, Pacific West Community Development Office 625 Abbott Rd. Buffalo, NY 14220-2092 www.sisterofmercy.org. For more information please call 585-343-8260 or to leave a message of condolence please visit www.gilmartinfuneralhome.com. Arrangements completed by Gilmartin Funeral Home & Cremation Company, Inc. 329-333 West Main Street Batavia, New York 14020. 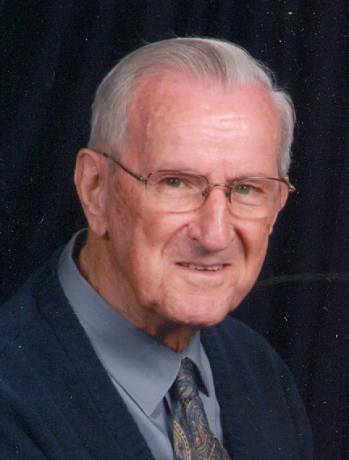 William Joseph Ward, 87 of Perry, passed away on Sunday April 14, 2019 at his home. He was born in Hume, NY on April 4, 1932 a son to the late Warren and Minnie (Burkart) Ward. He was a graduate of Castile High School. Bill worked for the Conable and Southview Farms in Castile for many years retiring at the age of 85. He loved farming and his family. He is survived by his wife Eileen (MacQuarrie) Ward whom he married on Nov. 30, 1985, 2 daughters Brenda Converse of Harrison, NY and Rebecca Arft of Piffard, NY, 2 sons: Keith Ward of Hawaii, Dennis (Kathy) Ward of South Carolina, 3 brothers: Arnold Ward, Warren “Jr.” (Zieska) Ward and Raymond (Charlene) Ward all of Castile, 4 grandchildren Gary G. Converse II, Charissa J. Converse, Robert William Converse, Keneke Keka Ward, 6 great grandchildren Devin Donnelly, Cohen Donnelly Elizabeth Donnelly, Nicholas Converse, Gary G. Converse III and Dakota Converse, along with several nieces and nephews. Along with his parent he is preceded in death by a sister Betty Livingston and sister-in-law Patricia Ward. Family and friends may call from 11:00AM-1:00PM at Eaton Watson Funeral Home, LLC. 98 North Main Street Perry, New York 14530 on Monday April 22, 2019, where Funeral Services will follow at 1:00PM at the Funeral Home. William will be laid to rest in Glenwood Cemetery in Perry. Memorial contributions can be made to the family. For more information please call (585) 237-2626 or to leave a message of condolence visit www.eatonwatsonfuneralhome.com. Arrangements completed by Eaton-Watson Funeral Home, LLC. 98 North Main Street Perry, New York 14530. 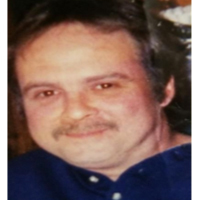 Joseph M. Cobb, 25 of Perry passed away on Saturday April 13, 2019 at his home. Joseph was born in Dansville, NY on June 15, 1993 a son of Monique (Veilleux) Welch and James M. Cobb. Joseph was employed by Creative Foods in Perry and had previously worked for a greenhouse in Springwater. He enjoyed landscaping and gardening. Family and friends may call from 1:00-2:00PM on Wednesday April 24, 2019 at Eaton-Watson Funeral Home, LLC. 98 North Main Street Perry, New York 14530, whereFuneral Services will follow at 2:00PM at the Funeral Home. Memorial contributions can be made to St. Jude 501St. Jude Place Memphis, TN 38105. For more information please call (585) 237-2626 or to leave a message of condolence visit www.eatonwatsonfuneralhome.com. Arrangements completed by Eaton-Watson Funeral Home, LLC. 98 North Main Street Perry, New York 14530. 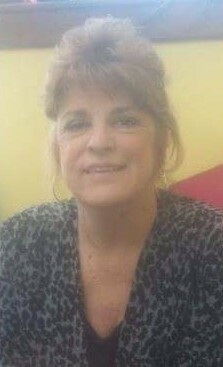 MARY S. NIELSEN ~ Age 69, of Batavia, died peacefully Sunday morning April 14, 2019 at the Unity Hospital in Greece, NY. Mary was born March 11, 1950 in Rochester, NY to the late George J. and Rhoda J. (Weeks) Dash, Jr.
Mary was retired from the Eastman Kodak Co. and DeRidder Inc., enjoyed gardening, sitting in her Sunbeam, cooking and watching her cooking shows, Candy Crush w/friends among other pasttimes. Her greatest joy was her family and time spent with them. Surviving is her loving companion of 34 years, Allen McFollins of Batavia; devoted daughters, Stacey McJury of Ft. Myers and children, Samuel Y. Dennis, IV and Alicia J. Perez; Kristen (Michael Guerinot) Hawkins of Rochester and children, Cori A. (Jose Berrios, Jr.) Brimacomb, Zachery D. (Jordan) Brimacomb & Alexis Guerinot; brother, Bud Dash of Rochester, NY; her companions children, Jason McFollins, Aaron (Ashley) McFollins both of Batavia and their children, Jamaicia, Tequira, Memphis, Jayda, Mason, Ayden, Javin and Carter; great-grandchildren, Kayden, Javier, Jose III “Chuie” and Ellie, “Ms. Ellie” along with a host of friends. Mary’s family will be present from 1 – 3p.m. Saturday April 20, 2019 at the MICHAEL S. TOMASZEWSKI FUNERAL & CREMATION CHAPEL, LLC 4120 West Main Street Road Batavia, New York 14020 where a Celebration of Life Service will begin at 3p.m. In lieu of flowers memorials are suggested to the Rochester Chapter of the JDRF 1200 Scottsville Rd. Suite 100 Rochester, New York 14624. Please share your words of comfort with Mary's family at www.tomaszewskifh.com or for more information please call Michael at (585)343-7500. THE FAMILY OF MARY S. NIELSEN IS BEING CARED FOR BY THE MICHAEL S. TOMASZEWSKI FUNERAL & CREMATION CHAPEL, LLC 4210 WEST MAIN STREET ROAD BATAVIA, NEW YORK 14020. JUNE A. PUNDT ~ Age 84, formerly of Elba, died peacefully Saturday April 13, 2019 at the Premier Genesee Center for Nursing & Rehabilitation. June was born in Batavia, NY on June 29, 1934, a daughter of the late Frank and Catherine (Neth) Thompson also preceded in death by her beloved husband, Earl F. Pundt in 2014 and siblings, David Thompson and Doris Thompson. June worked at the former Elba Drug Store and Grundler’s Bakery in Batavia, and a longtime member of Resurrection Parish (St. Joseph’s). She is remembered as a wonderful mother who enjoyed reading, jigsaw puzzles, word search and coloring. June is survived by her devoted children, Cheryl (Steve) Young and Donald (Kathy McElfresh) Pundt all of Batavia; sister, Lorraine Coppini of Batavia along with two nieces, Nancy and Cathy Coppini. At June’s request funeral services will be held privately by the family. She will be laid to rest alongside her husband in St. Joseph’s Cemetery and in lieu of flowers memorials can be made to the Genesee County Animal Shelter 3841 West Main Street Road Batavia, New York 14020. Please share your words of comfort with June’s family at www.tomaszewskifh.com or for more information please call Michael at (585)343-7500. THE FAMILY OF JUNE A. PUNDT IS BEING CARED FOR BY THE MICHAEL S. TOMASZEWSKI FUNERAL & CREMATION CHAPEL, LLC 4120 WEST MAIN STREET ROAD BATAVIA, NEW YORK 14020. David S. Sallome, 58 of Batavia, passed away peacefully at Premier Genesee Rehab & Nursing Center on Palm Sunday, April 14th, surrounded by his family, after a 5 year battle with cancer. He was born on December 18th, 1960 to Samuel J. and MaryJane (Pappalardo) Sallome. If you knew Dave, you knew that he rarely put himself before others. He would do anything for anyone. He was such a kind soul and was loved by many. He enjoyed hunting, fishing and spending time visiting with his family and friends who meant the world to him. He worked as a mechanic for many years until joining his brother at Sallome Heating where he worked until his illness prevented him from doing so. Surviving along with his parents are three brothers, John (Marianne); Stephen (Penny) and Samuel II (Jaime) all of Batavia, along with several nieces and nephews; Adam, Maria, Jenna, Stephen Jr, Emily, John, Jr., Samuel III, Emma and one great niece, Alivia. David, even in death, wanted to help others, so he donated his body to the University at Buffalo Medical Research Center. There will be no calling hours. A Memorial Service will be held at a later date at the convenience of the family. Memorials for David are suggested to Genesee Cancer Assistance C/O United Memorial Medical Center, 127 North St., Batavia NY 14020 or to a Charity of the donor’s choice.